MANILA- The Office of the Ombudsman is now looking into the bank transactions of President Rodrigo Duterte and his family, which allegedly amount to hundreds of millions of pesos. The investigation is connected with Sen. Antonio Trillanes IV's allegations that the President kept hidden wealth. The list of the first family’s bank transactions, which reportedly include those of Duterte during his stint as Davao City mayor, came from the Anti-Money Laundering Council (AMLC) and was given to the Ombudsman last year, Overall Deputy Ombudsman Arthur Carandang said. Ombudsman Conchita Carpio Morales has inhibited from the investigation since her nephew, Manases Carpio, is the husband of the President’s daughter, Davao City Mayor Sara Duterte. Morales, however, maintained that she believes Carandang would conduct a fair investigation. Carandang added that based on records provided by the AMLC, the Duterte family’s transactions amount to hundreds of millions of pesos from different banks between 2006 until 2016. He, however, clarified that money went in and out of the Duterte family’s accounts, making it hard to identify the total bank deposits. "'Yung billions kasi, baka in-add nila yung lahat ng transactions, may P20 million, P20 million, P20 million, P60 million, pag in-add mo, aabot talaga ng billions, may P50 million, ang dami," Carandang said. With Trillanes’ plunder complaint against the President, the Ombudsman formally requested the AMLC for an official investigation report on the Duterte family's bank records. Under the law, the AMLC is the government agency that acts as the Philippines' financial intelligence unit and has the mandate to investigate suspicious transactions. The Office of the Ombudsman has the authority to request records from any agency to verify the Statement of Assets, Liabilities, and Net worth (SALN) filed by government officials including the President. Malacañang, meanwhile, said it respects the Ombudsman’s investigation and noted that the President has nothing to hide. “The President respects the internal processes of the Ombudsman as an independent body and trusts its impartiality in the conduct of its fact-finding duty. The President has nothing to hide,” Presidential Spokesperson Ernesto Abella said. 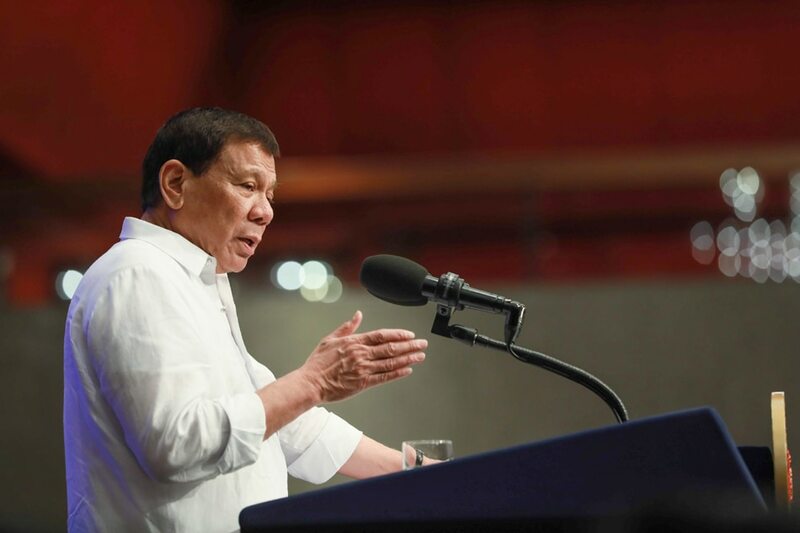 President Duterte has repeatedly denied accusations of hidden wealth, saying he only has wealth inherited from the sale of his late father’s properties. “You'll find that even when I was still in fourth year, I had a million already," Duterte said in a speech Tuesday.